Farmers in the Maritimes are noticing climate change, says an Oxford University researcher, but they need help in dealing with it. Bernard Soubry, who is studying at Oxford University in England, has spoken with farmers in all three Maritime provinces about the effects of climate change. Soubry said they're concerned that springs are becoming wetter, and the harvest is moving later in the fall. Despite these changes, he said, provincial governments don't have policies to protect food production in the Maritimes. "If this isn't being studied and if this isn't being talked about, then we're not going to be able to set up adaptation plans," said Soubry. "I really don't want to live in a world where I'm wondering where my food is going to come from. Unless we start thinking about it now, it's going to be really, really difficult to make plans for the future." Soubry will continue his research for the next couple of years. He also plans to talk with government officials, retailers, and NGOs. 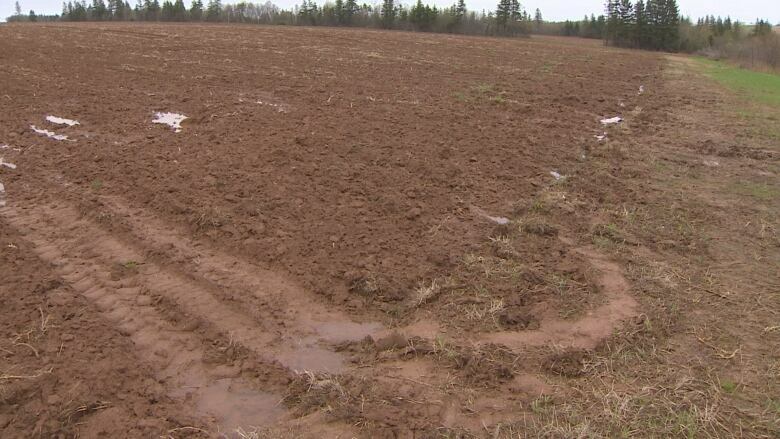 Soggy fields delay potato planting across P.E.I.